DeAnna England is a Principal Consultant with Vector Group, Inc.
She brings more than 15 years of leadership experience in Change Management, Talent Management, Human Capital, Employee Engagement, Training and Development, and Strategic Planning. 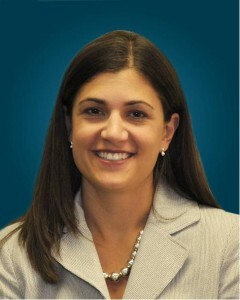 She focuses on improving organizational performance and change management. Her extensive experience in organizational change management and workforce development provides her with a unique perspective on achieving business results through engaged employees. In previous roles, DeAnna served as the Global Manager of Organizational Development for Meritor, Inc. In this role DeAnna led a team to provide Organizational Development and Change Management support to an organization of over 13,000 employees worldwide. DeAnna’s previous positions include Senior Human Capital Consultant for Booz Allen Hamilton, providing Human Capital strategy creation and implementation consulting to civilian installations of the U.S. Army. Prior to that, she served as a Manager of Organizational Development and Change Management consulting for T-Systems. In this role she has provided Change Management consulting to clients such as Volkswagen, Smith and Nephew, Hayes Lemmerz, and Shell as well as managed internal shifts to a regional operating model and post-merger integration. DeAnna has played an instrumental role in the successful transition to global virtual teaming, post-merger organizational design and team integration, strategic partnerships, outsourcing, and large-scale technical integrations. She has worked with clients to dramatically improve their performance by integrating people, processes, and structure when identifying barriers and capitalizing on drivers to successfully achieve intended results. DeAnna is a graduate of the University of Michigan with a specialization in Organizational Behavior.